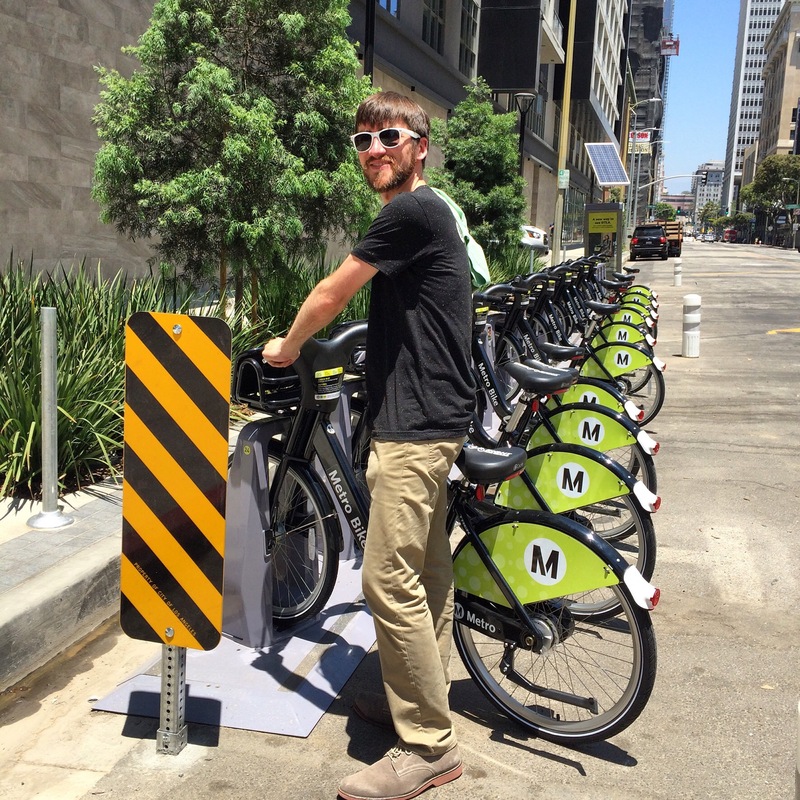 Los Angeles Gets Bike Share! 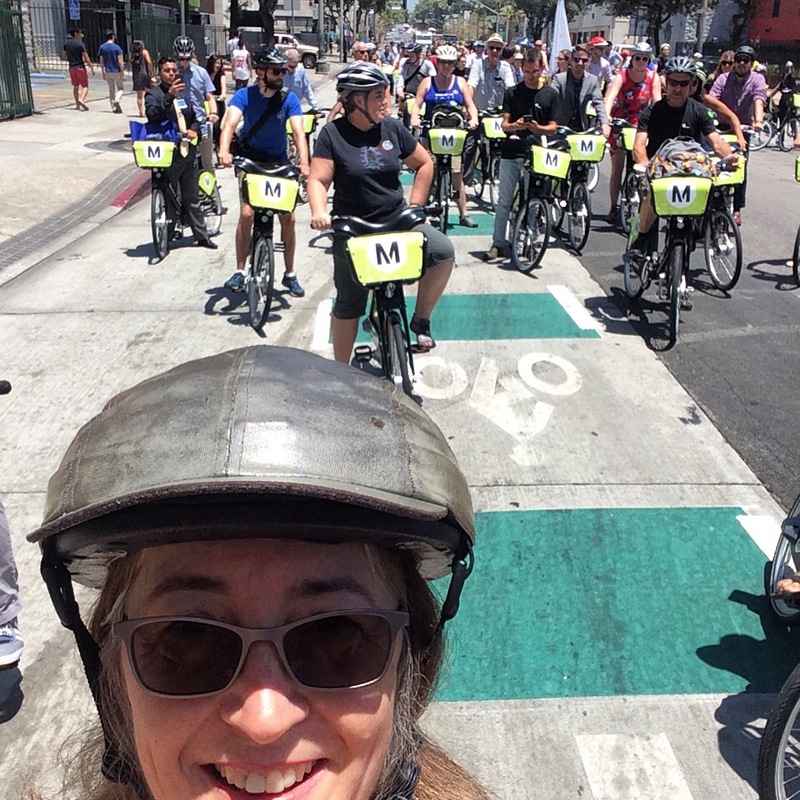 – WeLove2Bike! 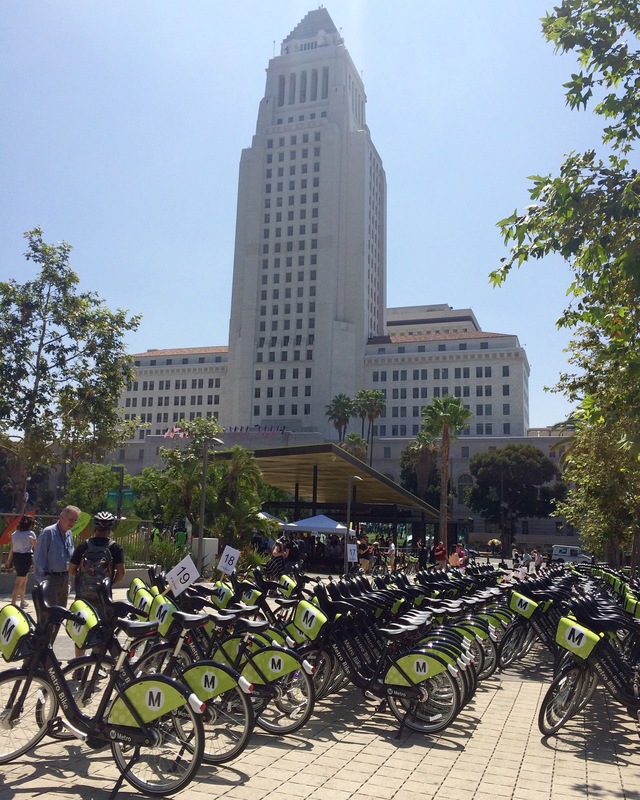 Los Angeles Gets Bike Share! 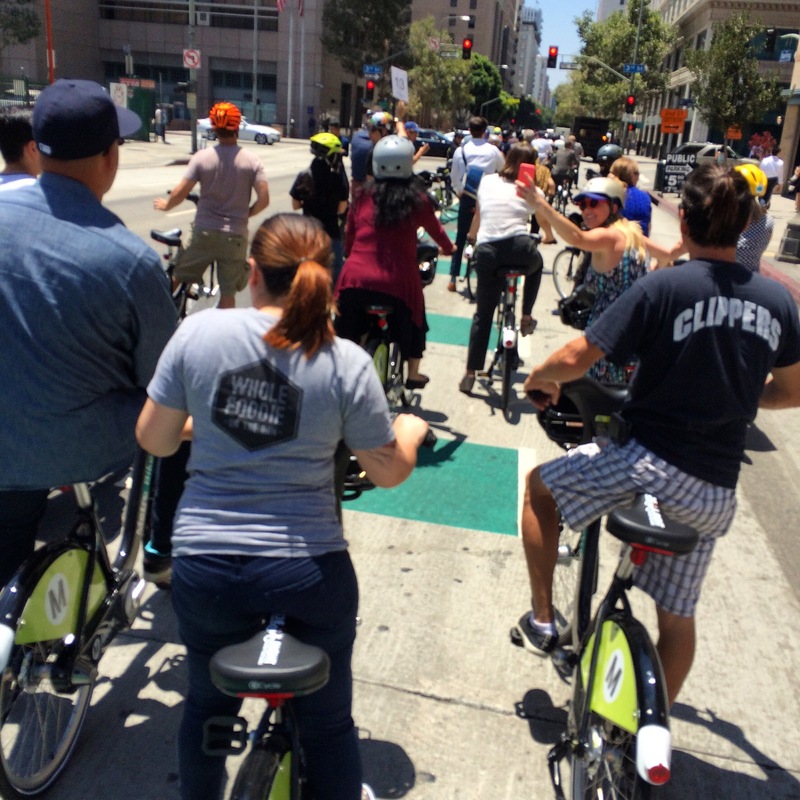 On July 7, 2016, a special thing happened in downtown Los Angeles. 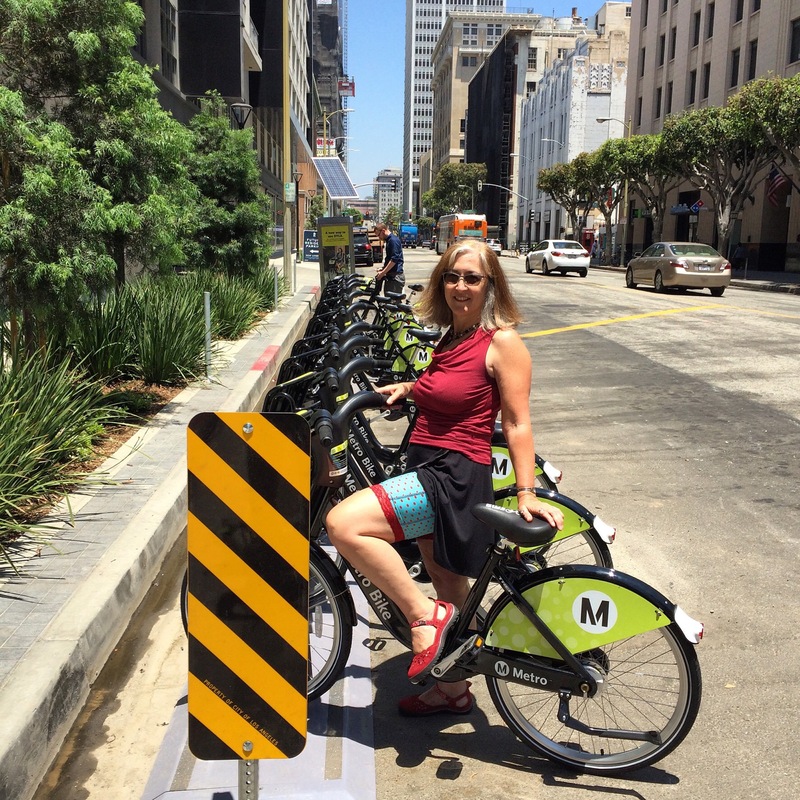 The same city where, when I moved here in 1996, I would NEVER consider spending a day downtown, and certainly not on a bike, now has bike share!! 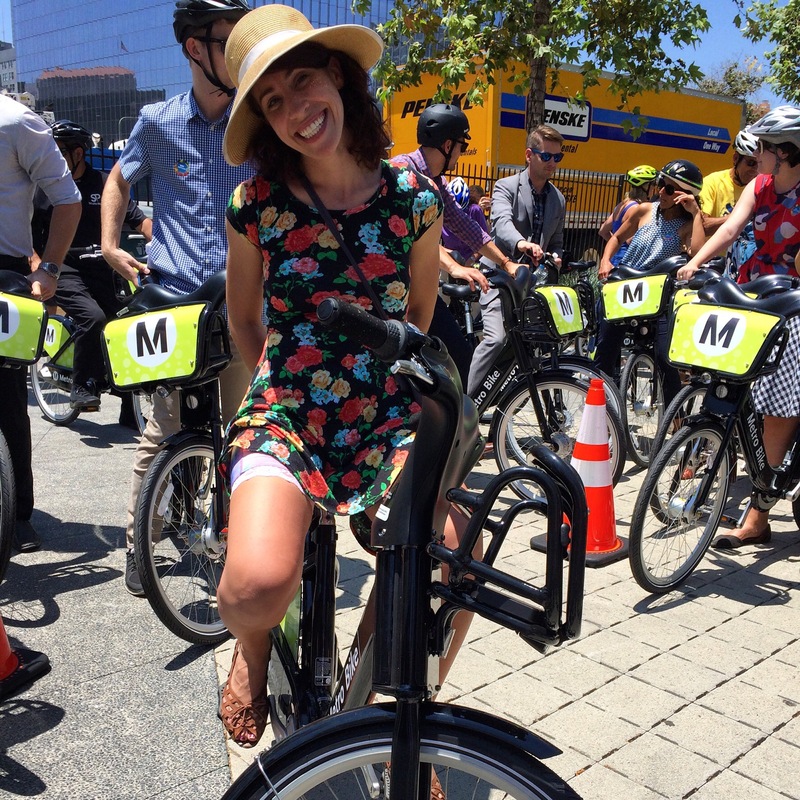 The launch of Metro Bike Share in downtown LA was cause for celebration, and celebrate we did. The party was held in Grand Park, just across the street from City Hall. 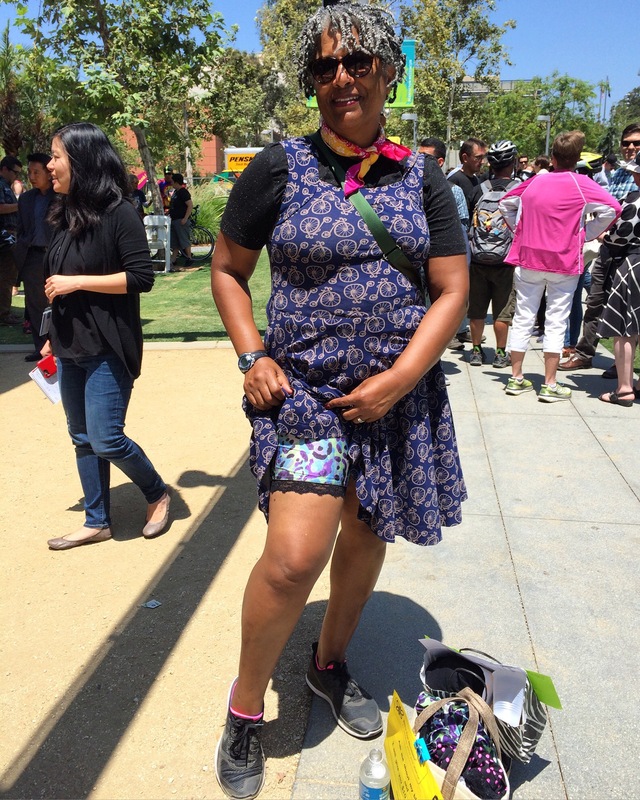 There was live music, food and drink, people of all ages, sizes, and colors, and much merriment. 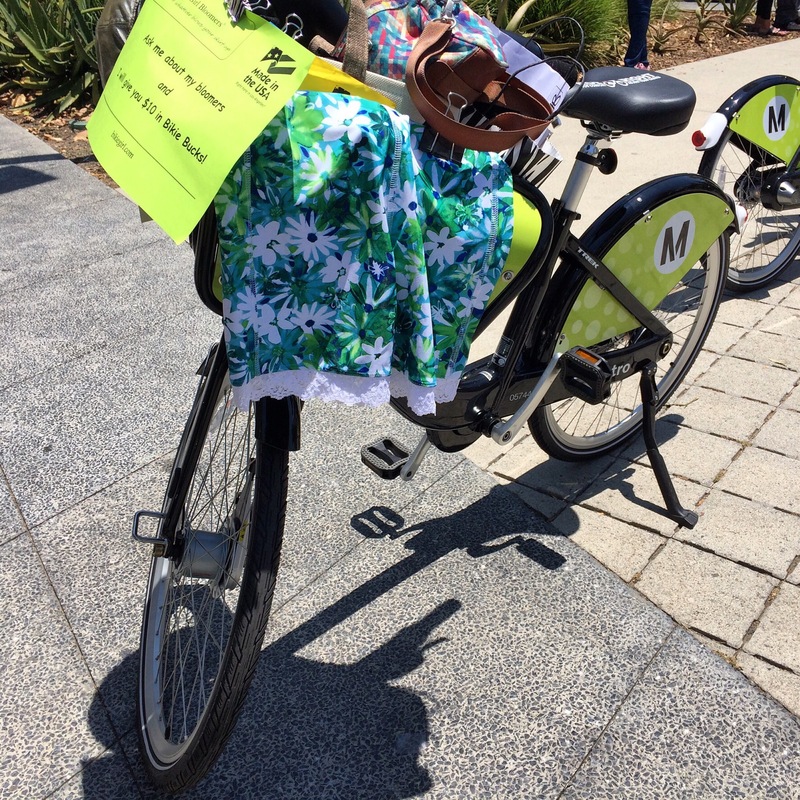 I was one of many who had volunteered to ride one of the new bikes from the park to one of the 65 docking stations around the downtown area. 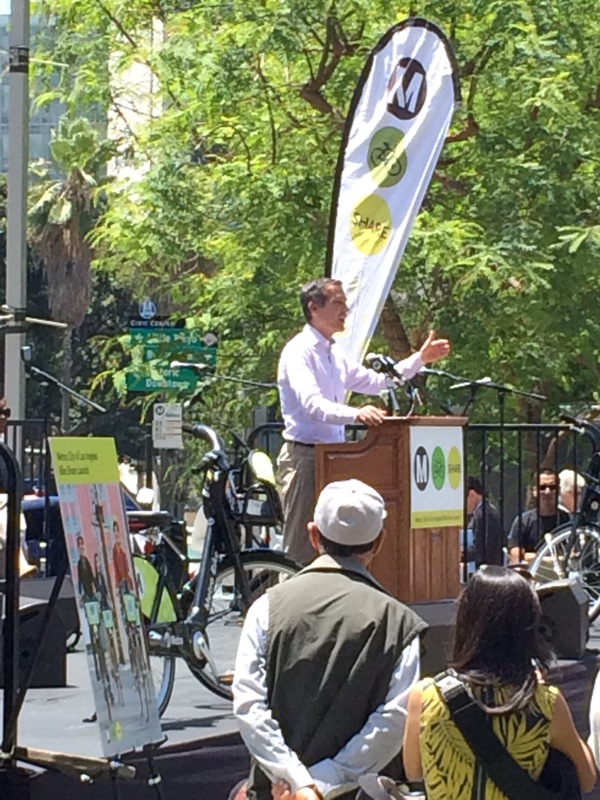 After various speeches, including one from Mayor Eric Garcetti, we headed out in groups. It was a blast! 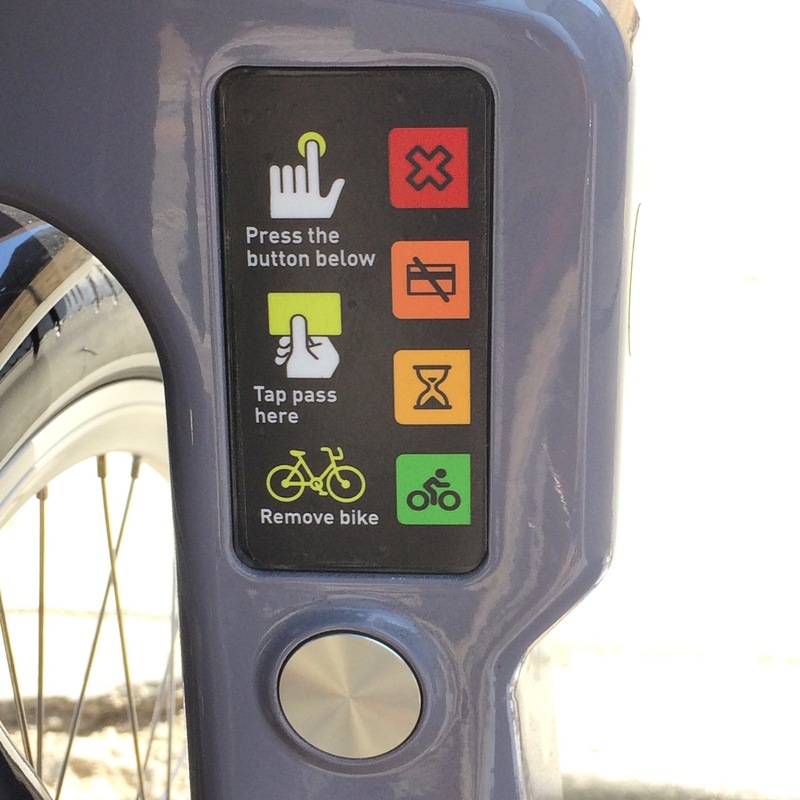 Close up of user interface of bike share dock.